Fireproof Document Bag 15″ x 11″ – Just $5.00! Have all of the disasters got you thinking about being prepared? It has me thinking about it for sure! This is a great way to keep your documents safe and easy to take on the go if needed. How about this deal? 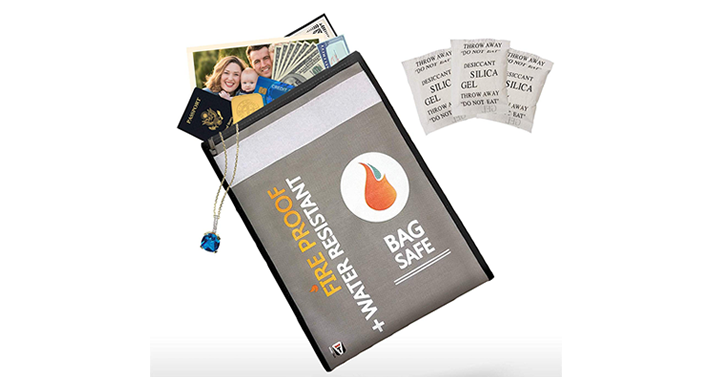 Get on over to Amazon and get the Fireproof Document Bag 15″ x 11″ for just $5.00!